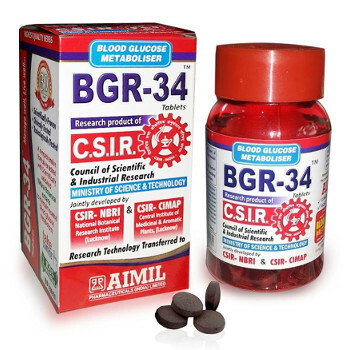 BHR-34 - highly effective for regulating glucose levels in the blood. BHR-34 - the result of decades of research on the effects of plants on glucose metabolism in the body. 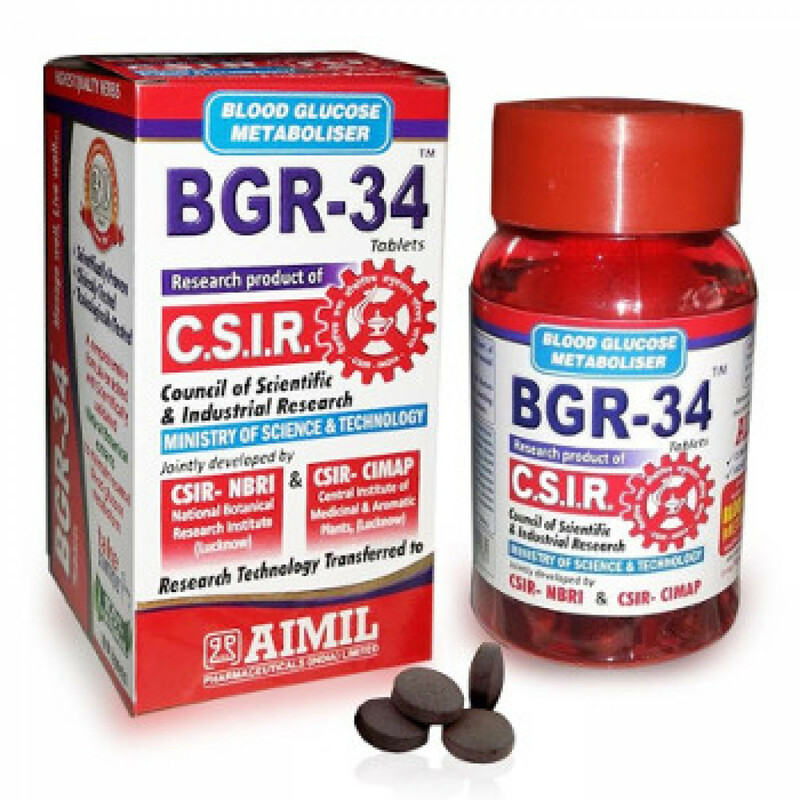 BHR-34 on the one hand effectively reduces the blood sugar level, and on the other hand stimulates your own insulin production. In addition, BHR-34 has pronounced cardioprotective properties. Indications: saharny type II diabetes. Content: extracts of Daruharidra, Vijaysar, Giloy, Majeeth, Methika, Gudmar. Dosage: 2 tablets 2 times a day for half an hour before meals or as directed by your doctor. In our store You can buy authentic BHR-34 Aimil at the best price!